Nancy S. Shilepsky, chair of Sherin and Lodgen's Employment Department, is a leading influence in the world of executive advocacy, employment law and employment litigation. In May 2015, Nancy was selected as a Fellow of the Litigation Counsel of America (LCA). The LCA is a trial lawyer honorary society composed of less than one-half of one percent of American lawyers. Fellowship in the LCA is highly selective and by invitation only. Fellows are selected based upon excellence and accomplishment in litigation, and superior ethical reputation. She has been a Fellow of the College of Labor and Employment Lawyers since 2000. Nancy was recently inducted into the Massachusetts Lawyers Weekly Top Women of Law 2015 Circle of Excellence. The Circle of Excellence recognizes women who exemplify professional, civic and mentoring achievements year in and year out in the Massachusetts legal community. 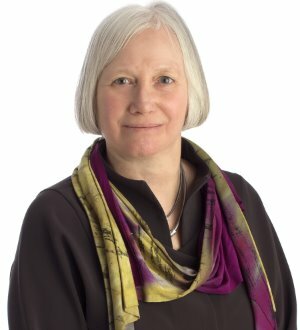 According to Chambers USA, the “tenacious and diligent” and “quite extraordinary Nancy S. Shilepsky” is “a dominant figure in plaintiff representation, advising senior executives on sophisticated employment concerns.” Her many accolades include being repeatedly listed by Thomson Reuters/Boston Magazine as one of the Top 10 Massachusetts Super Lawyers, named to the “Lawdragon 500” list of leading lawyers in America in 2015, and receiving Chambers USA’s highest Star Individual ranking. She has been named a Lawyer of the Year by Massachusetts Lawyers Weekly (MLW), was featured in MLW’s “Power Issue” and was named by The National Law Journal as one of the most influential lawyers in Massachusetts. Nancy was also selected by her peers for inclusion in the 22nd Edition of The Best Lawyers in America. As an executive advocacy pioneer, Nancy is a champion of the interests of individuals and a trusted counselor to executives and professionals across a wide range of industries. She has established a nationally recognized practice representing such clients in complex matters involving executive employment and compensation. On occasion, she represents companies, partnerships, and other profit and non-profit organizations as well as individuals in these matters. Nancy is known for her pioneering work in wrongful termination and discrimination cases. Her work includes a high-profile sexual harassment case involving the impact of the First Amendment on workplace speech restrictions and a land-mark case dealing with the eradication of race-based discrimination in compensation.